It all started around three years ago, when Google decided to enter the field of Internet service providers. Google would not be introduced into the households ADSL or cable Internet access, but optical cable, which should allow Gigabit throughput. Google's vision of the Internet, called Google Fiber, became a reality in the U.S. in Kansas City - the installation has started. 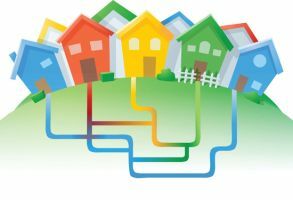 Google Fiber is available in two packages - a gigabit Internet for $70 a month, or a combination of Gigabit Internet access and television with a bunch of local and global program for $120 per month. Those who take the package will get a TV Nexus 7 tablet as a remote control for the TV. 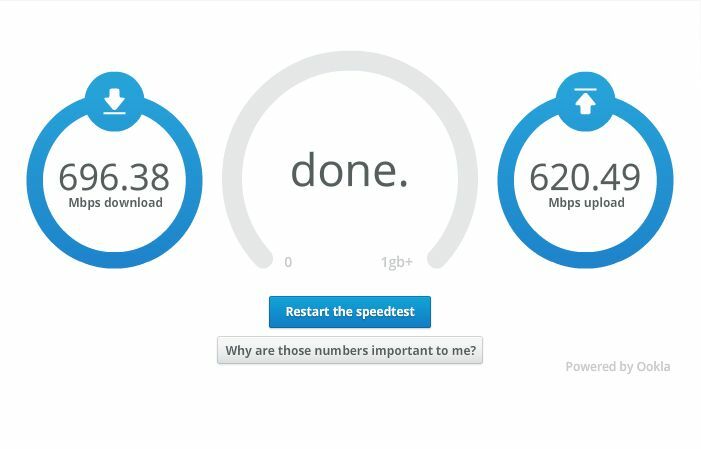 One of the first users of fiber, Mike Demarais posted a screenshot on Twitter that shows the speed of his installation. The speed ranges between 600 and 700 Mbps via an Ethernet cable and when connected wirelessly he reached speeds of 200 Mbps. To test the speed he used BitTorrent and downloaded Ubuntu, the download lasted about two minutes. It is particularly interesting that Google offers free Internet access, although this internet access is limted to today's "average speed"! For those who are not yet ready to set aside $70 or $120 for gigabit speeds, they can pay $300 to install (once or in 12 installments at $25) and enjoy free access to the Internet. The throughput is 5 Mbps download and 1 Mbps for uploads and the service will be free for at least 7 years. A note regarding the amount of cash - all amounts above are net without taxes and possibly some additional charges. To promote the launch of this servie Google's team made a video in which they represent their service, that is, a video showing how it looks when someone from Google knocks on the door and says that he will install Google Fiber.